The other week speculation surfaced suggesting that new Aston Villa head coach Dean Smith wanted to take former player Barry Bannan back to the club from Sheffield Wednesday. Some in the fanbase obviously panicked given the Scots importance to us on the pitch, others dismissed it pretty much outright as there wasn’t a single shred of concrete evidence in the reports linking him with a departure – the original report also seemed oblivious to the 28-year-olds own words about the club and the new deal he signed in recent times. The diminutive midfielder was interviewed by the Telegraph as we build toward’s Friday evening’s Steel City Derby at Bramall Lane and obviously the speculation was addressed. 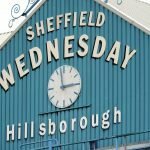 I know footballers can often say one thing in interviews and then do the complete opposite behind closed doors, but Bannan doesn’t strike me as that kind of chap given everything he’s said about his time at Hillsborough and I don’t think he’d have chosen the following types of words either if he was just trying to be diplomatic. Explaining that he was told about it by ‘Villa fan mates’ he did admit the Villans remained ‘close to (his) heart’ and having come through their youth Academy and spent many a year with them they obviously would. But I think the answer to a departure lies in what he said next. He’s not going anywhere in my humble. That’s the worry – could be a similar situation to you in fairness, as I caught something about Grealish accepting he was moving on with your finances as it served the bigger picture. Would still be slightly surprised if anything came of this though.